The 5-bay front section of the house dates to the 1750s. and has a more balanced Georgian floor plan typical of the mid 1700’s. Front and side facades of the four room building facing County St.
Thomas Dennis (1638–1706), came from Devonshire, England, where he learned from a tradition of flourished carving. 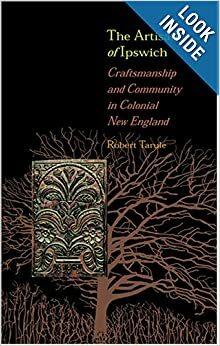 Dennis himself was a master carver, and his work is shown in the Metropolitan Museum of Art in New York City, the Boston Museum of Fine Arts, the Concord Antiquarian Society and the Robert Hull Fleming Museum at the University of Vermont. 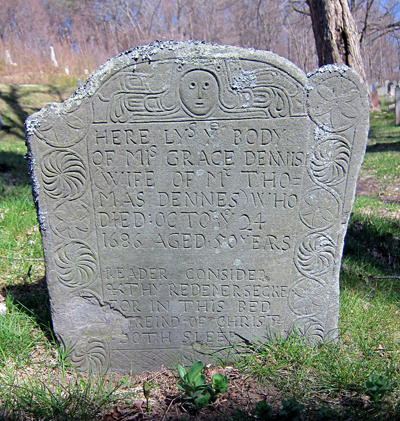 Descendants of Thomas Dennis, by Frank G. Dennis Jr.